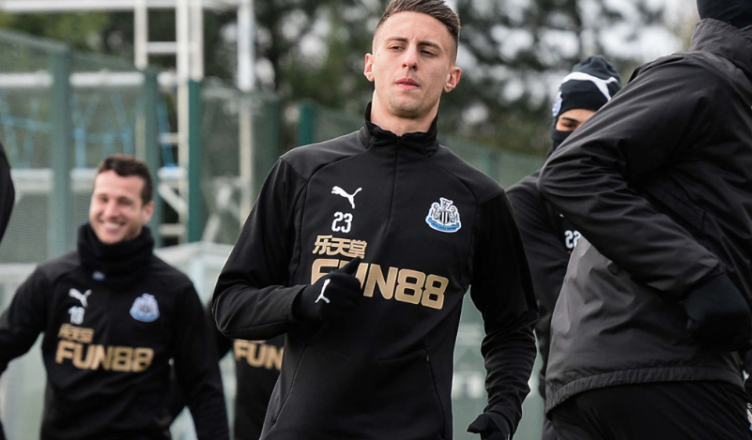 Club reporter reveals what’s going on with Antonio Barreca after 4 straight no-shows.. – NUFC blog – Newcastle United blog – NUFC Fixtures, News and Forum. After failing to make Rafa’s last FOUR matchday squads, the Chronicle’s Chris Waugh admits that Antonio Barreca was never brought in to be first choice and ‘isn’t close’ to the first team right now. The former Torino man was brought in one deadline day to give us another option at left-back, but so far we’ve only seen him play 4 minutes of action over the last month. He came on as a late substitute in the late loss to Spurs, however he’s failed to even make the bench in games against Wolves, Huddersfield, Burnley and West Ham since then – making some fans wonder what on earth is going on. ‘Antonio Barreca was not even in the Newcastle United squad at the weekend – and the Italian is already turning into one of the more questionable signings of the last few seasons. ‘In fairness to Rafa Benitez on this one, Barreca was never signed to be first choice; he was brought in to provide back-up down the left flank, where Matt Ritchie has performed exceptionally well as a left-wing-back, and where Paul Dummett is the only recognised out-and-out left-back. Given that Benitez currently has 24 players fit – well, 23 if Sean Longstaff is ruled out – then Barreca finds himself very much where he was intended to be in the hierarchy. ‘He wasn’t Benitez’s top left-wing-back target in January – Jordan Lukaku came on to the market one day, Newcastle dropped their interest in Barreca, and then only returned when the deal for the Belgian feel through – and I’d be amazed if the Italian is top of the list for potential permanent options in the summer, either. It seemed clear that Barreca wasn’t Rafa’s first choice given it was a last minute loan after we missed out on Lukaku, but it seems he’s doing little to impress so far. It can’t be easy for the lad, and Matt Ritchie form as a left wing-back hasn’t exactly helped his case, but the fact Javier Manquillo is regularly being selected ahead of him on the subs bench seems a little ominous. Ashley may not be impressed, with Barreca threatening to become a Benitez signing that will make little sense in his eyes, but mistakes will happen when Rafa’s forced to scramble through the bargain basement at the 11th hour. A last minute signing who can’t get in the squad. Waugh gets to the answer we couldn’t get to. He’s not a first choice signing. Totally agree with this statement..